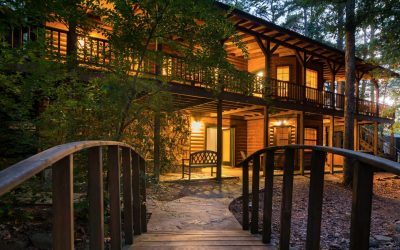 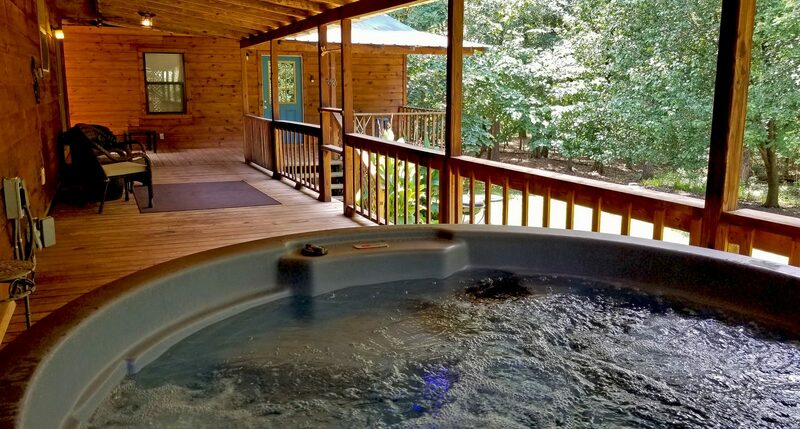 Sleeps 7 – Backing up to a lush forest, Wild Blue Yonder gives you a feeling of running away from the city to the great unknown while still being close to all of the area activities. 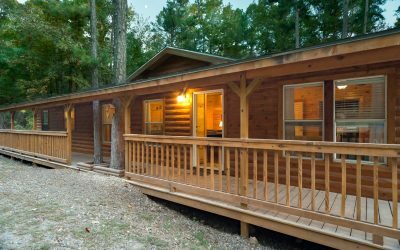 Perfect for splitting larger groups, it is near many of our other cabins. 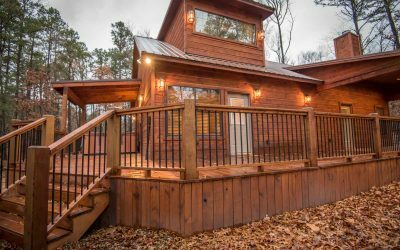 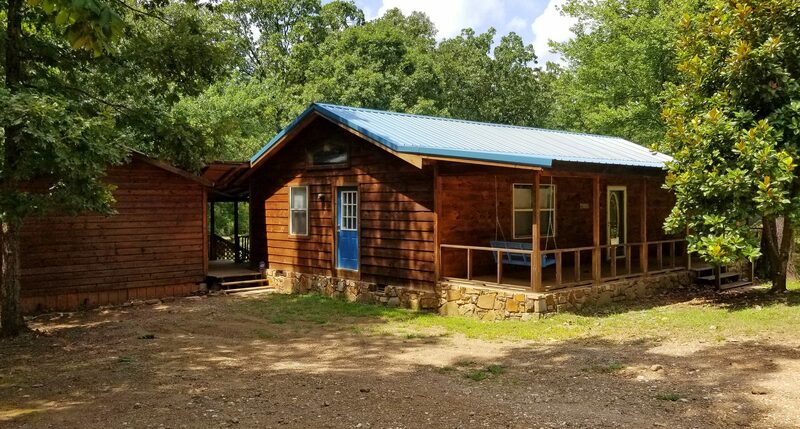 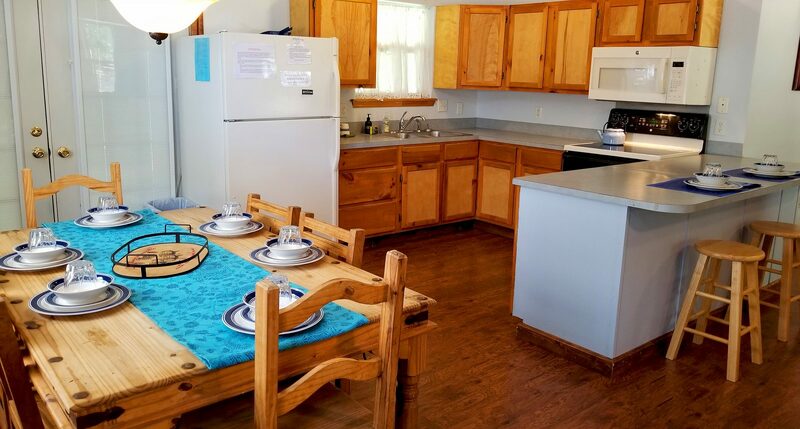 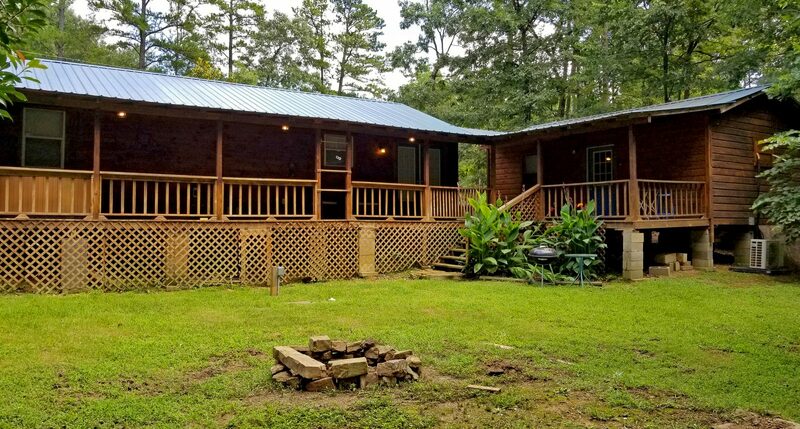 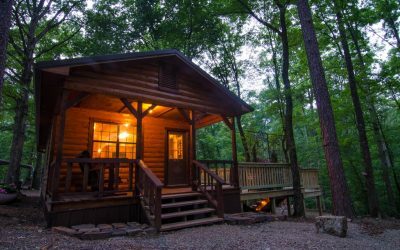 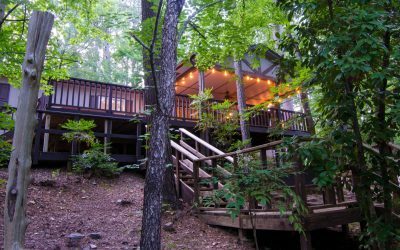 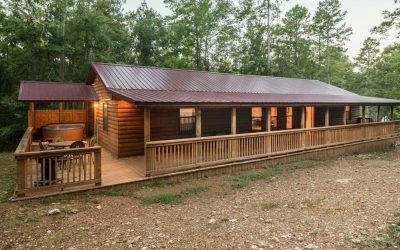 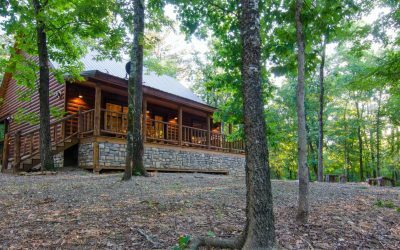 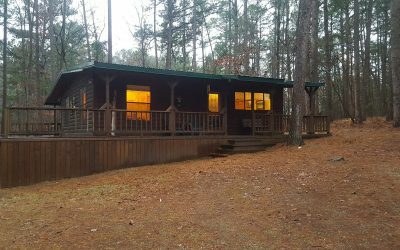 Wild Blue Yonder is a two bedroom cabin with a separate studio, connected by a back deck. 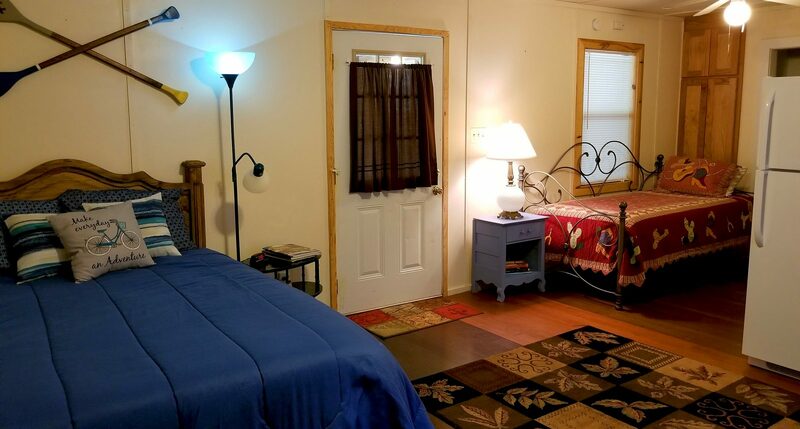 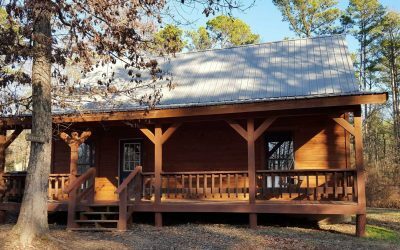 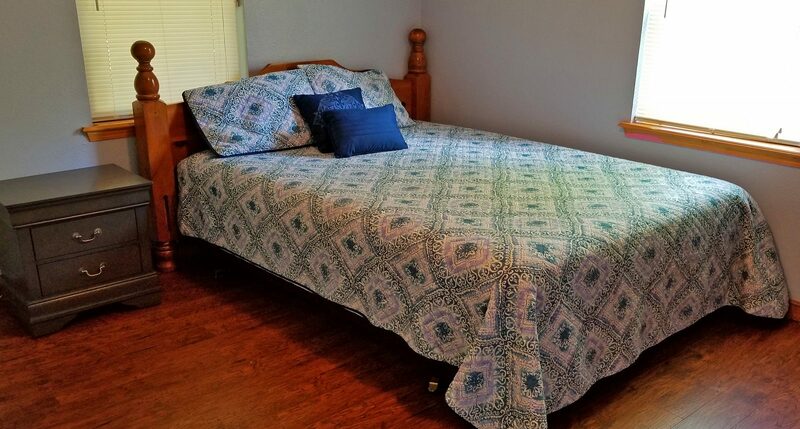 The main house has two bedrooms with a king and queen bed with the in-law studio sleeping another 3 with a full bed and twin day bed. 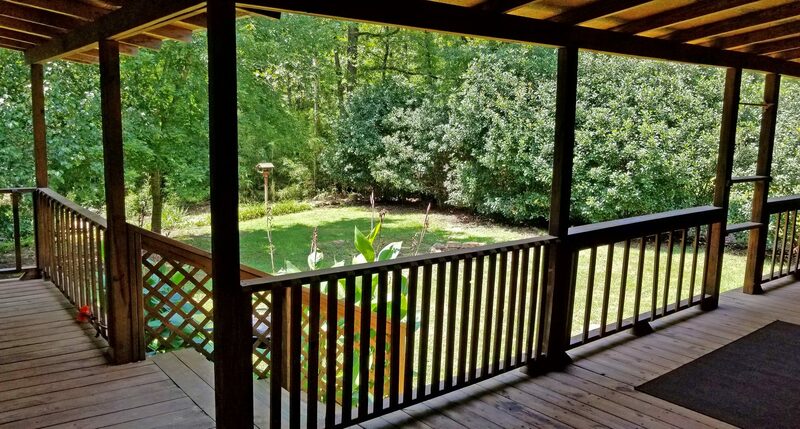 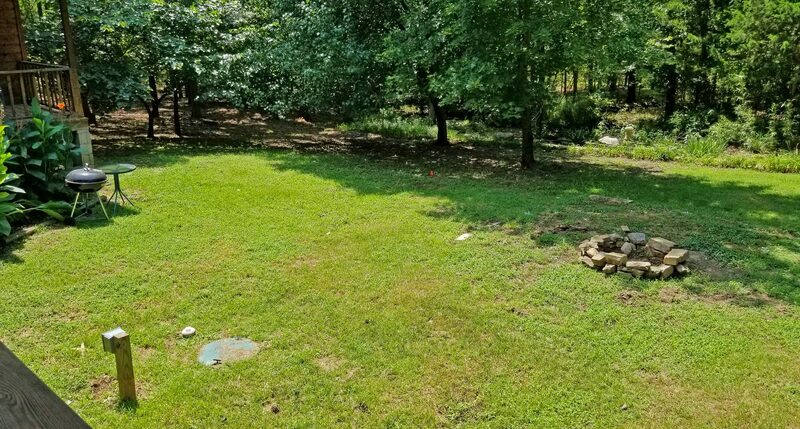 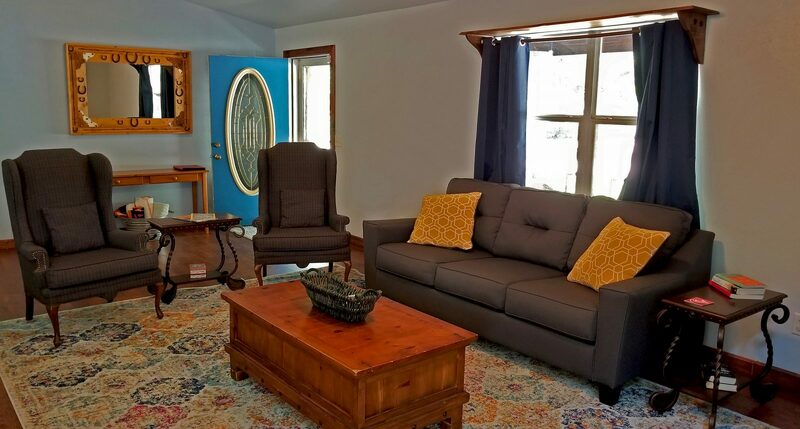 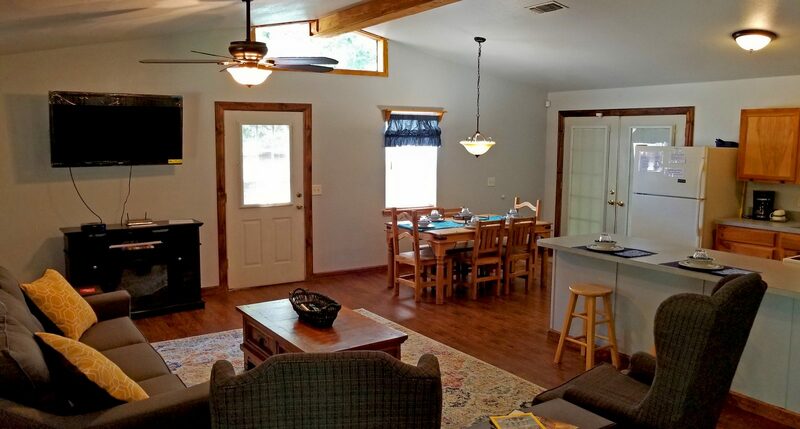 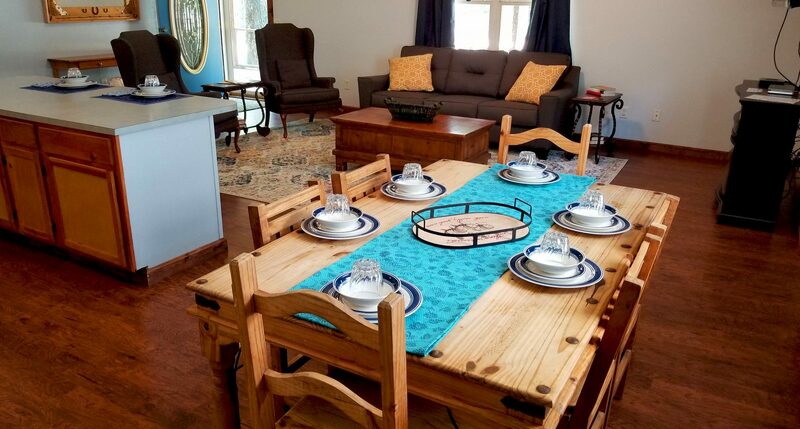 Between the two, you have two kitchens, two bathrooms, and plenty of open space to enjoy a meal together in the living room/dining area of the main house. 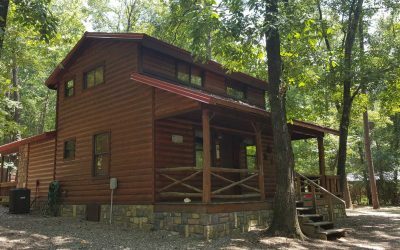 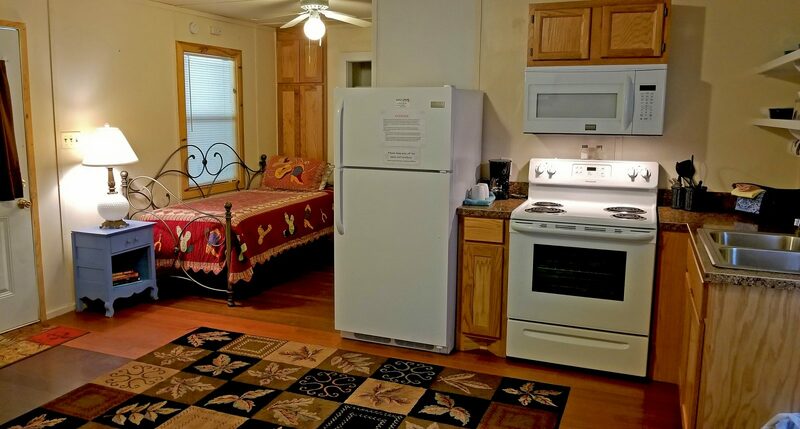 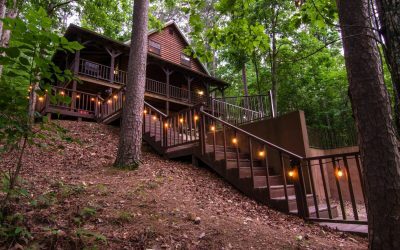 Also included is cable, wifi, washer & dryer, charcoal grill, hot tub, and porch swing, fire pit AND it is pet friendly!